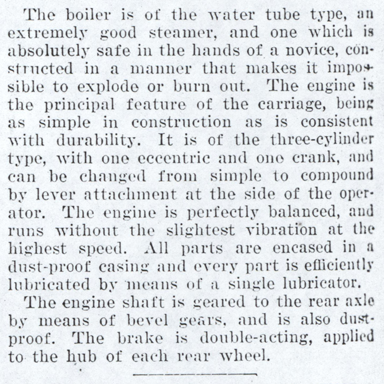 This article appearted in the Cycle and Automobile Trade Journal of November 1, 1901, p. 58. 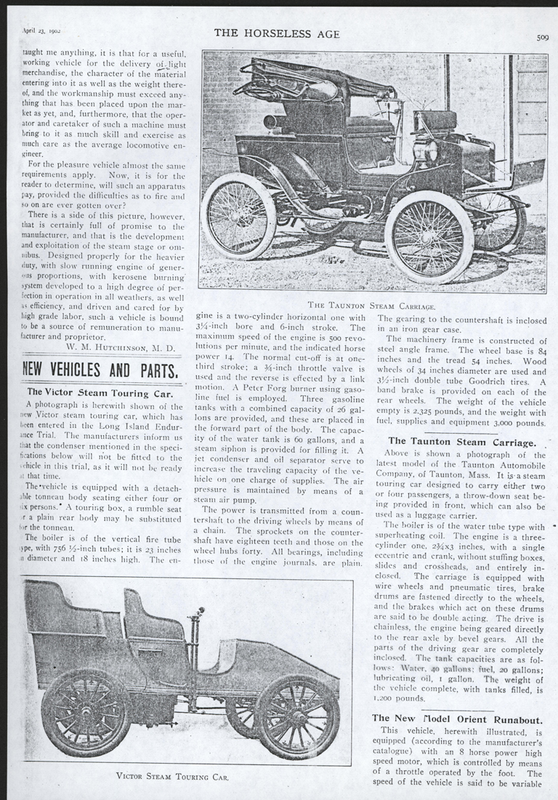 It shared hte page with the Wood-Loco Vehicle Company, another steam car company. John A. Conde Collectionn. 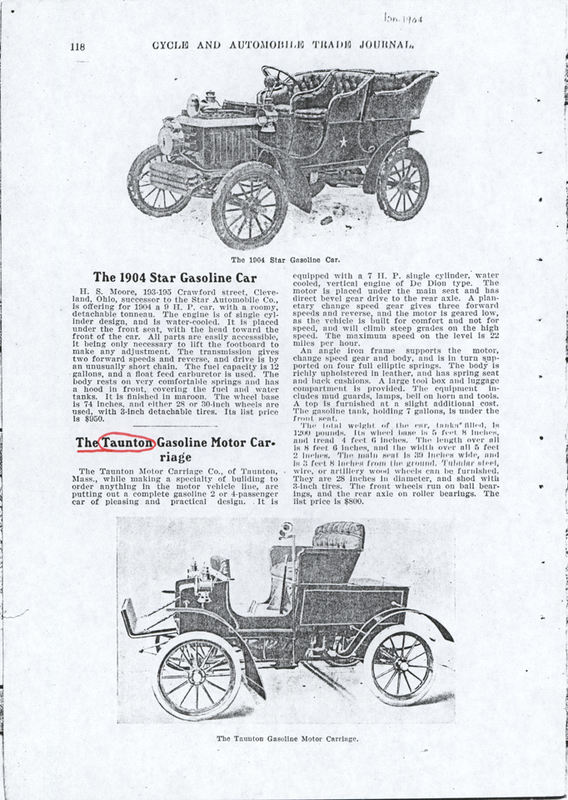 The Taunton Automobile Company shared page space with the Victor Steam Touring Car in the Horseless Age on April 23, 1902, p. 509. The Victor sported a Peter Forg burner. John A. Conde Collection. 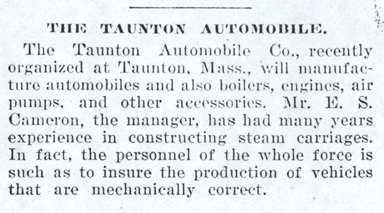 The Taunton Automobile Company was producing cars as late as January 1904 when its latest model appeared in Cycle and Automobile Trade Journal, page 118. John A. Conde Collection. Contact us if you have additional information about the Taunton Automobile Company, or if you have questions.